MQA has announced the launch of MQA Live, which allows fans to listen to live hi-res music streams. The service launched during SXSW in Austin, with a stream of Jake Issac (shwon below) performing live from London's Rocket Studios. The invite-only audience in Austin was able to listen to the MQA stream through a variety of devices, listed the press announcement below. You can learn more at MQA Live. An invite-only audience in Austin experienced the debut of "MQA Live," a new way for fans to connect to musicians. 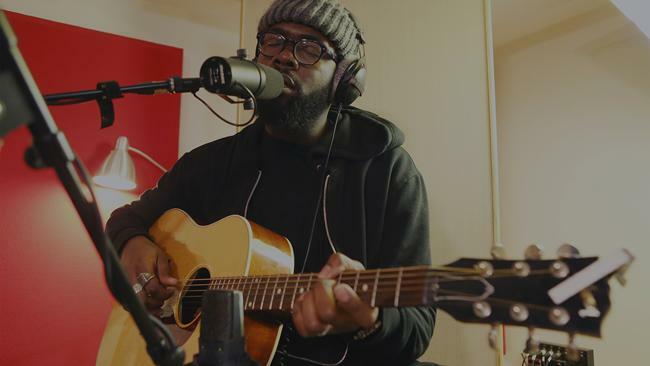 Jake Isaac and his band performed from London's Rocket Studios--the first time a live performance has been streamed in real time using MQA's technology. The performance was listened to live in an Austin home on a variety of devices to re-create everyday listening environments. MQA is launching its "Live" product to enable music fans to connect in studio quality to their favourite artists, wherever and whenever the artists are performing. Fans can listen to a live concert in its original quality, as if they were standing in the venue. MQA Live offers access to gigs across different countries and time zones for loyal fans, as well as opening up concerts to new audiences. Mike Jbara, MQA CEO, stated, "MQA Live offers fans the authenticated sound direct from the venue, so conveniently that it can fit into their everyday lifestyle, wherever they are and however they choose to listen. The home environment in Austin, with a variety of playback devices, was a great way to experience Jake's special performance, and excited those in attendance to imagine a new age of social and appointment listening." Jake Isaac, singer-songwriter and musician, added, "I feel really lucky to have been part of the first MQA Live experience. After the performance, the MQA team played the recording of the live stream back for me, and I was blown away with how powerful it felt." MQA has applied its ground-breaking technology to make a real time encoder, which connects easily to the audio system of the location and then can be sent into the chosen delivery platform of promoters and venue owners. The only additional equipment required is MQA's live encoder box at the venue to encode the performance. This keeps production costs low, while the MQA encoding process preserves audio quality and addresses bandwidth issues. MQA music will stream and play back on any device, although for optimum results and the full MQA 'unfold', use devices or software from the growing number of MQA partners. • For more information, go to MQA Live.